Delta Airlines investments in the customer experience extend beyond the hard product like seats and overhead bins – Delta airline’s in-flight entertainment system is also getting a facelift, and the first aircraft featuring the new look recently debuted on an Airbus A330 flying from Atlanta to Honolulu. The new graphic user interface, or GUI as it’s known in the digital world, is a customer investment that makes it easier to discover content and navigate between pages. The experience feels “more like interacting with an iPhone,” said Joe Kiely, Delta’s Managing Director – Product and Customer Experience. The system features thoughtful upgrades that provide a better user experience and a navigation pathway more aligned with Delta’s website and mobile app. Customers will find it easier and more intuitive to use the new interface, which will also help flight attendants who often have to assist customers with using the in-flight entertainment systems. 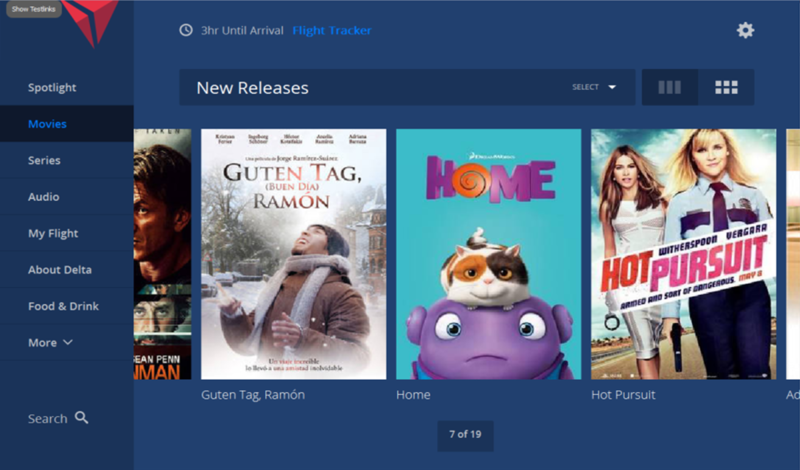 Upgraded features include improved search functionality, a new Spotlight section to highlight promos and monthly themes, connecting gate information with new terminal maps for select destinations, an improved amenities section for Delta products and services, and a new welcome screen with different background images based on departure city, among others. The new GUI is now onboard Delta’s Airbus A321 aircraft and has started rolling out on the A330 fleet. Rollout will continue in late May and into June on Delta’s A319 as well as Boeing 737-900 and 757-300 fleets, with all fleets expected to be completed by the second quarter of 2017.